I was thinking about running a cycle of lectures about firearms at Microsoft, and wanted a cut-away semi-automatic rifle as a teaching aid. 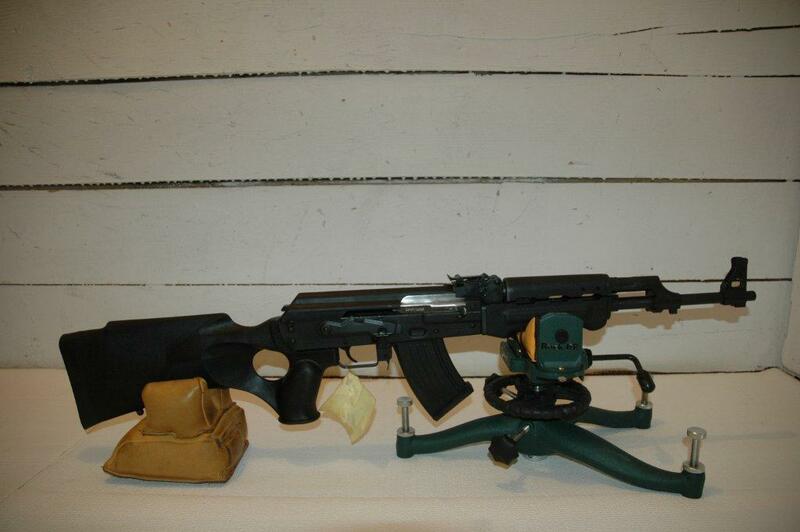 Century had a single-stack WASR available for $399, but then I noticed a $350 Zastava AK clone in Cabela's catalog and thought what the heck, why not do it myself and save a few bucks. Armed with a $20 off coupon I headed to the store and came back with the long box containing the rifle. 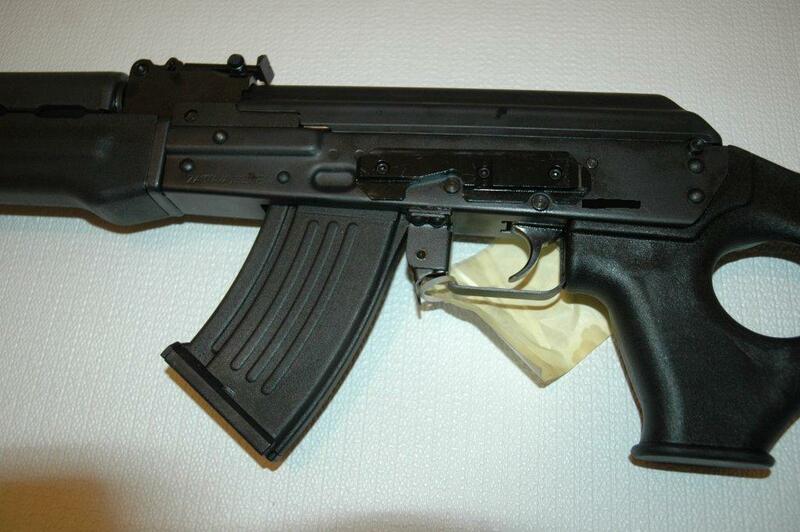 Here is EAA Zastava PAP as it comes out of the box. 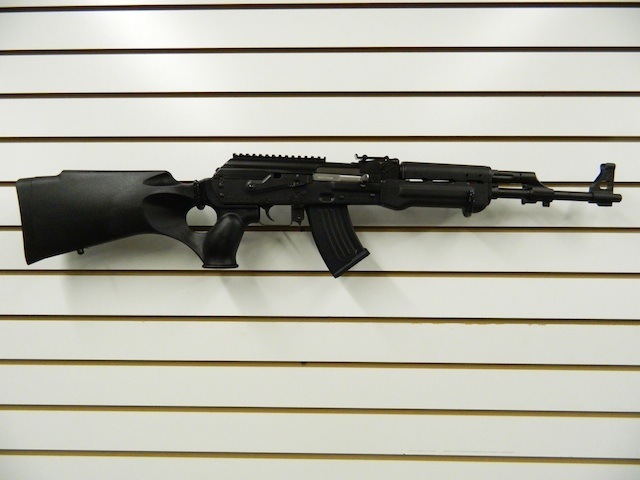 The rifle is built around AK action, but is converted into a "sporting" configuration, probably to facilitate the importation. 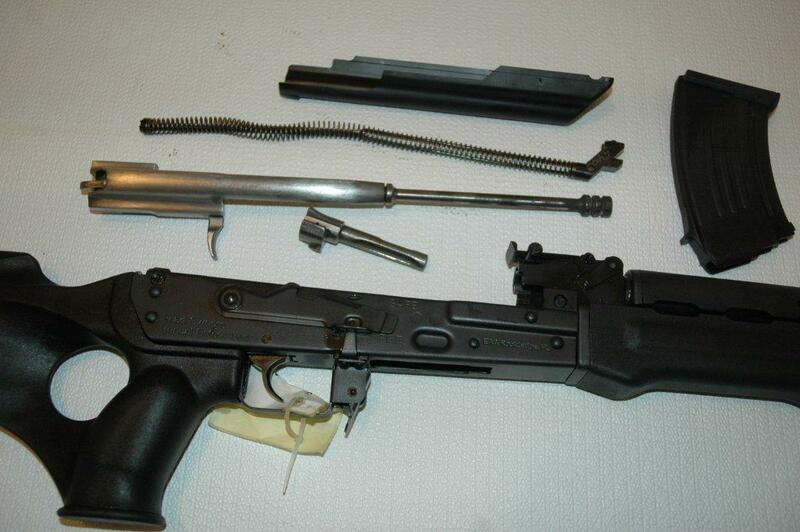 The magazine is single stack and has a 10 round capacity. The rifle came with three of them. Second "sporting" modification was the stock - instead of a separate pistol grip and a buttstock, the rifle has a single piece stock with an integrated pistol grip. The rear of the receiver is cut at an angle, which precludes using normal AK furniture. However, the factory stock has a very solid look and feel, and is very comfortable to hold. 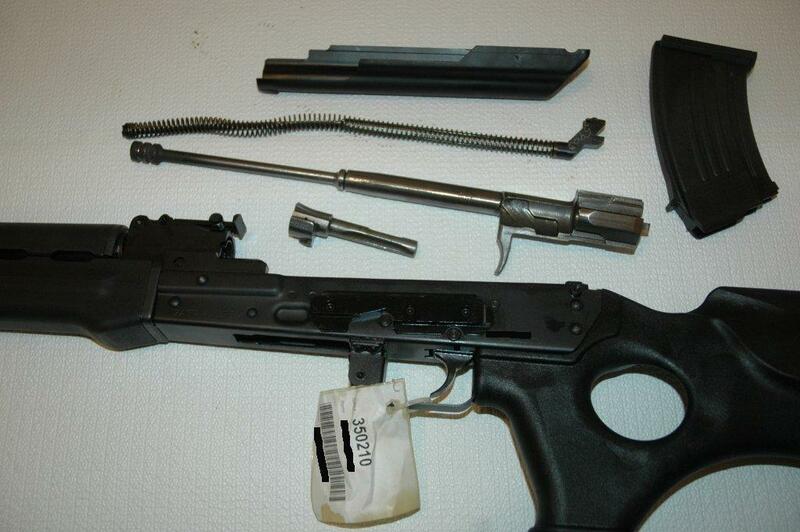 The innovation common to Yugo M70 model - a button that locks the spring guide in a slightly depressed position so that the receiver cover can be removed easily is also present on this rifle. The worst feature, out of the box, is of course neither the stock nor the magazines. It is a receiver cover rail for mounting a scope. There are some mounts that provide additional support for the rail, locking onto the receiver, but this is not one of them - it's a simple picatinny style rail welded onto a standard AK receiver cover in all its flimsiness. The cover moves easily under a light pressure from a finger - there is no way this system can possibly retain zero. 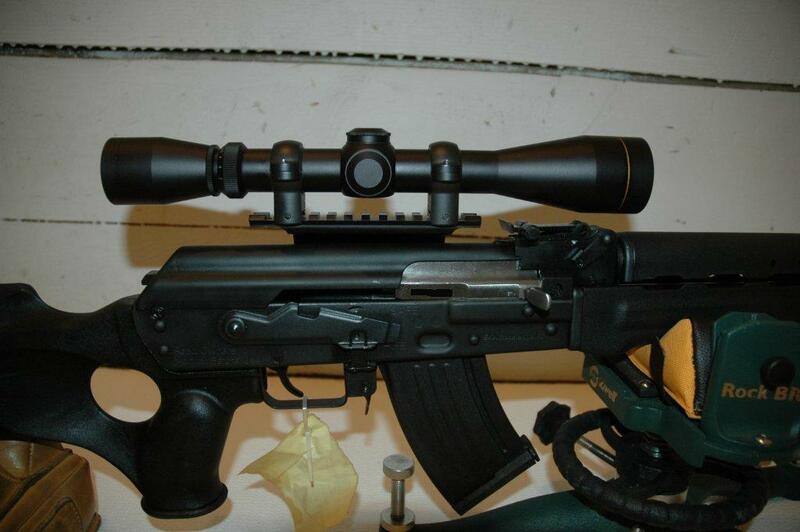 And unlike most new AKs, there is no side rail for standard AK scope mounting brackets. Other than external sportification, the action is standard, and disassembles in a classic AK fashion, so it was fine for my purposes. Before pulling out a Dremmel though I figured I will take a look what the "internets" have to say about it. Surprisingly, I found that quite a few people liked it. Many reviews pointed out exceptional accuracy - as usual, without specifying any numbers (read more about this phenomenon here: WhatIsAnAccurateRifle.aspx). So I thought, what the heck, why not give it a try before butchering? 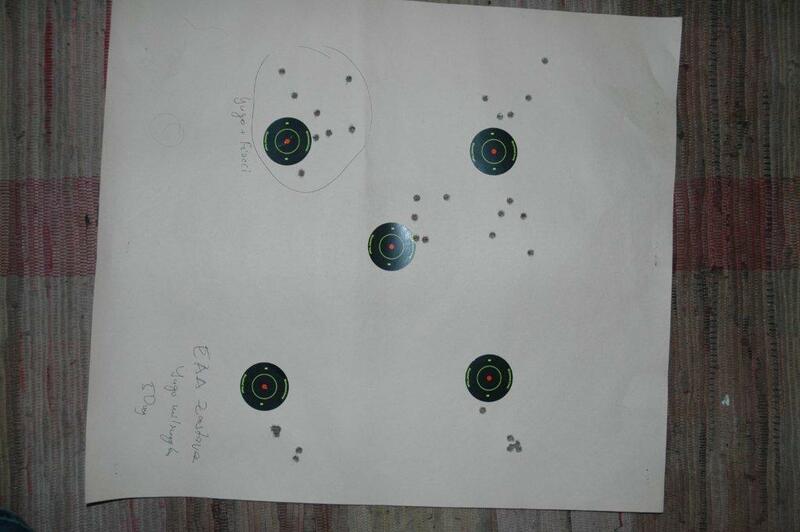 Of course, testing a rifle for accuracy cannot be done with iron sights, at least not with my skills. So first a scope had to be mounted. This required two things - a UTG AK Precision Machined Combat Steel Side Plate ($10 at Amazon at the time of this writing), and a new receiver cover, which had to be Yugo M70 variety ($25 from gunbroker). The side rail came with screws, and the receiver was sufficiently thick to be tapped, so with a drill press, a tap, Loctite, and about an hour of work the side rail was mounted. A week later when the receiver cover arrived everything was ready to go. The scope I used was Leupold VX-I 3x-9x, no-frills, but with the repeatability I could fully trust. The only rings I use these days are Burris Signature Zee. You can't buy them anywhere - always out of stock, so when I do see them, I always buy as many as I can lay my hands on. They have plastic inserts that completely preclude marring the surface, yet the grip is ironclad. In addition, they have inserts of varying thickness that allow adding built-in elevation correction for long ranges - 5, 10, or 20 MOA. On to the range. I've been accumulating a wide variety of 7.62x39 ammunition just for this purpose, so I had a good dozen brands with me - Wolf, PPU, Fiocchi, Yugo milsurplus, S&B, PMC, American Eagle, and a few more. Do not miss these deals! I normally do not shoot centerfire rifles from 50 yards, but it was a busy Saturday and all 100 yard positions were occupied, so I took the shorter lane. This is where things started getting really ugly. Most of the ammunition was producing 3-5" groups - at 50 yards!!! What the...??? This is... this is not safe! The best "accuracy" was achieved by Yugo milsurlus ammo. This is the target (ignore the lower left corner, this was two people shooting at the same target with two different brands of ammo. My Mossberg 930 shotgun is more accurate. Presumably if a few hundred deer decided to jump you, the 30 round capacity of EAA Zastava PAP's 3 magazines would let you sell your life more dearly than with the puny 4+1 shells in a typical shotgun. 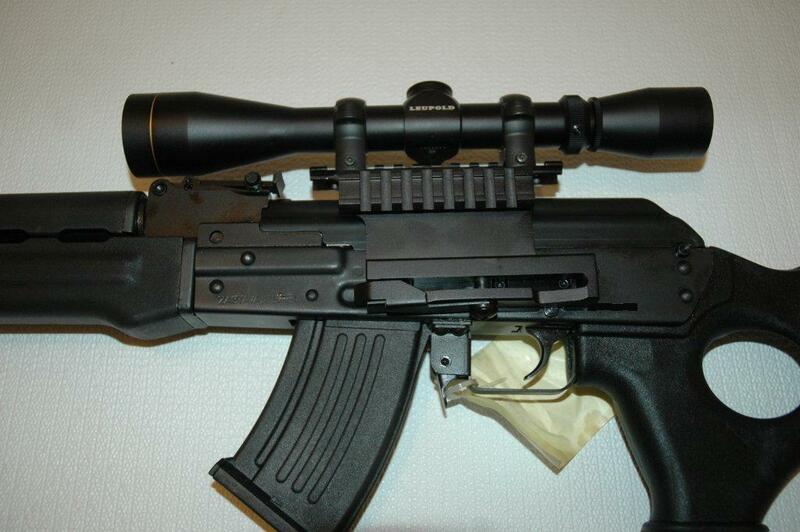 If, however, a deer is beyond 200 meters, you will probably not hit it with this firearm. The scary thought is that, given the range of 7.62x39 ammunition, you MAY hit something - or someone - else instead. Obviously, this is not a target gun. If you compete with this rifle, you have a very decent chance of losing to a longbow. Although this gun is in sporting configuration, its accuracy - or lack thereof - rules out any sporting application. As such, I cannot recommend it for anyone. Quite clearly, we are not going to be carrying it at Precise Shooter.